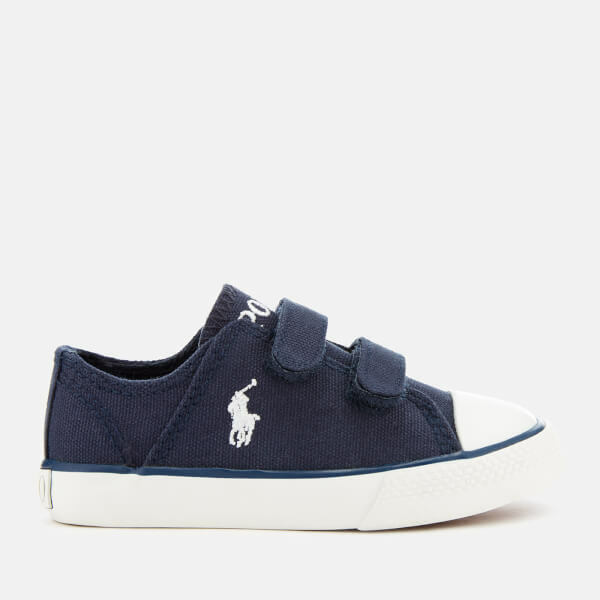 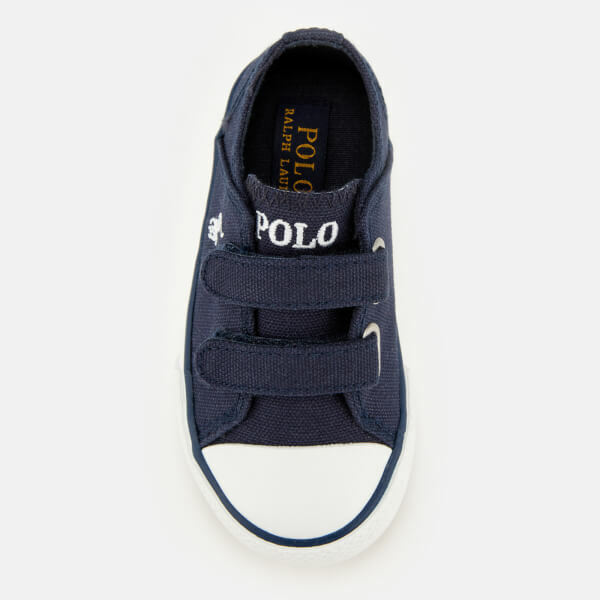 Toddlers’ ‘Darian EZ’ trainers from Polo Ralph Lauren. 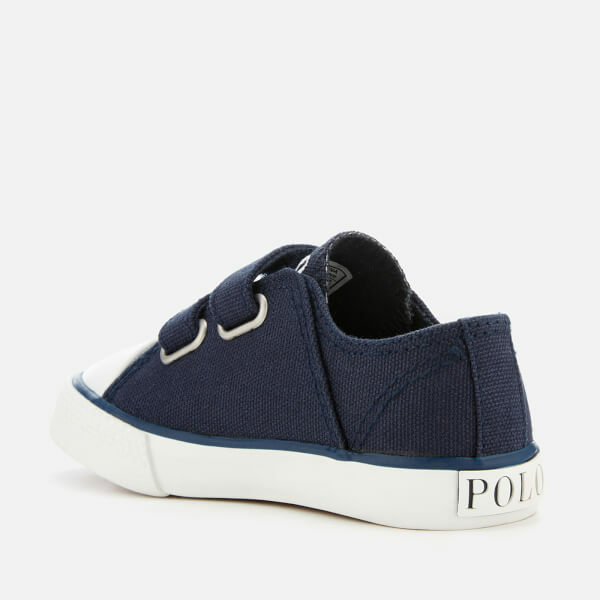 Crafted with lightweight canvas uppers, the navy sneakers fasten with two Velcro straps and feature tonal stitching, a rubber toe cap and a chunky contrasting sole with logo license plate to the heel. 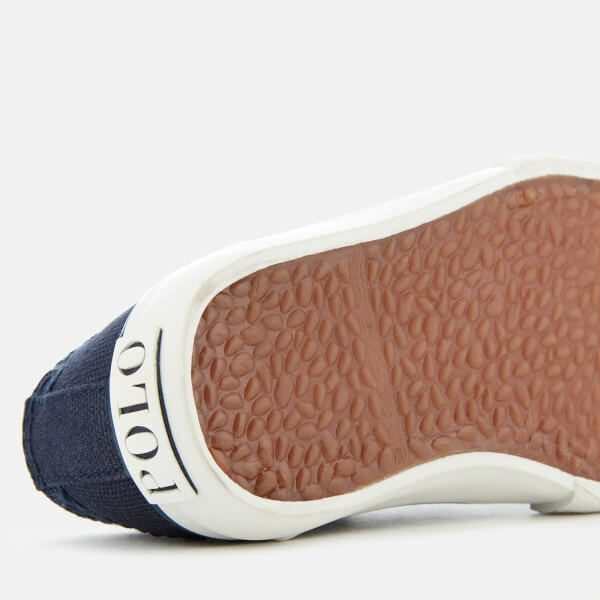 The iconic embroidered Polo logo provides the finishing touch.